Located at Cliffside Terrace at Village Center, Oia, Ambrosia offers you one of the island’s most tranquil terraces. 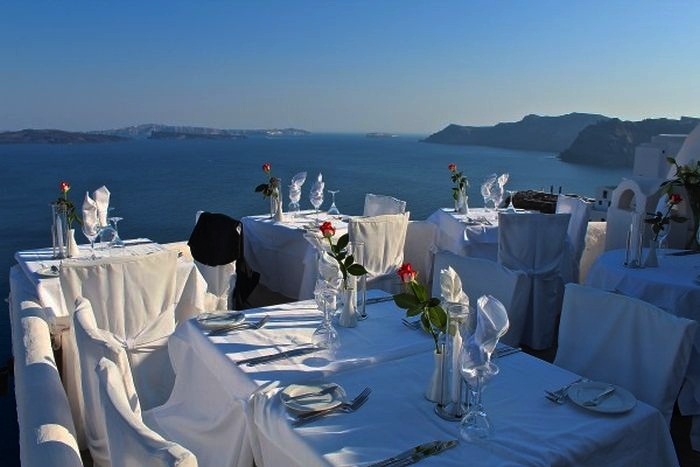 The luxury restaurant features 2 small terraces, offering an intimate setting. And their seafood, Mediterranean meat dishes, traditional vegetarian specialties and salads will make your taste buds tingle. All you need at Ambrosia for a great experience is the candlelight at your table and the stars over your head. 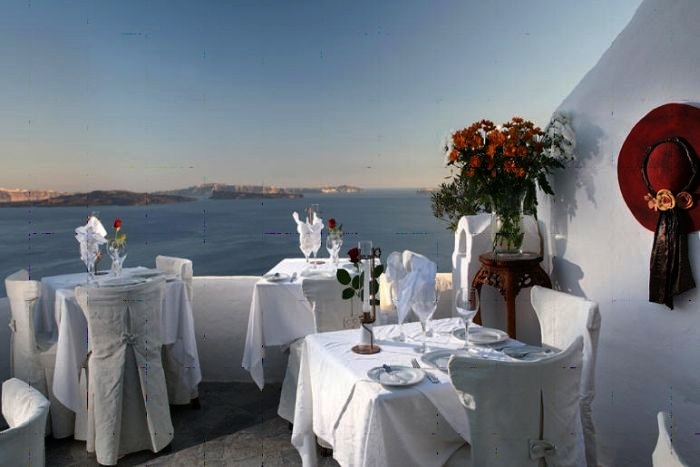 Their menu include neoclassic Greek cuisine, enriched with international flavors. What we recommend: Fresh salmon tartar with finely chopped avocado, grapefruit, chili and lemongrass.